Shannon teaches primary, beginner, and advanced intermediate dance classes at Jeté Dance Company. She is also a choreographer for the Company. Over the past fifteen years, Shannon has made it her objective to provide a place for young dancers to attend weekly dance training in a positive, personable atmosphere where they, along with their families would feel welcomed and appreciated. Because of this objective, along with her ability to seek out a professional staff of associate teachers, Jeté Dance Company has quickly become one of the largest dance training facilities in the region proving over and over again that learning dance at such an intensive level may also be fun and encouraging. Before opening the company she studied dance for over twenty years and has seventeen years of teaching experience. Most recently, Shannon attended the Master Teacher’s Courses and Certifications School at the Broadway Dance Center. She also had the opportunity to dance under Mia Michaels, Brian Freedman, Wade Robson, Dave Scott, Desmond Richardson, and Chris Judd from the hit television show So You Think You Can Dance. 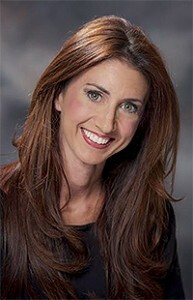 She is a certified member of the National Dance Alliance, Dance Masters of America, and the Broadway Dance Center. Aside from teaching dance, Shannon has also had the opportunity to choreograph with Jay Howarth. Shannon’s choreography has been named excellence in tap choreography and won numerous awards in competitions such as 1st place overall, regional highest score, and been invited to perform in New York City. Most recently, Jeté Dance Company has been awarded the 2013 Top Studio Award, now three years in a row. Shannon received her Bachelors Degree from Louisiana State University in 2000. Lauren teaches Primary, Beginner, Intermediate, and Advance Intermediate level dance classes at Jete’ Dance Company. She was a demonstrator and competitive dancer for Jete’ Dance Company for five years before beginning to professionally teach the styles of Ballet, Tap, Jazz, Lyrical, and Hip Hop. In addition to studying dance for over 20 years, she attended Masters Teachers courses in New York City and received her dance instruction certification from the Broadway Dance Center. Her eight years of teaching at Jete’ Dance Company have shown a dedication to providing dance excellence and creating a positive experience for our students. Lauren received her Bachelor’s Degree in Business Management from Louisiana State University in 2011 and her Masters in Business Administration from the University of New Orleans in 2015. She currently directs and choreographs for the JDC Performance Team, our recreational performing group. Lauren’s work with the Performance Team gives our studio dancers the opportunity to share their talents and to give back to our community through the art of dance. Theresa Wasiloski, a Baton Rouge native, has been teaching, performing, and choreographing in south Louisiana for fifteen years. She holds a BFA in Performing Arts from UL Lafayette. Performance credits include several productions at UL, the New York International Fringe Festival, and Jazz Dance World Congress in San Jose, Costa Rica. Theresa’s choreographic work has been performed at UL’s An Evening of Dance and State of LA Danse, Contemporary Dance South Conference in Baton Rouge, American College Dance Festival South Central Dance Conference, and most recently at the Acadiana Center for the Arts, where she was Artist in Residence for the 2014-15 season. She currently directs and performs with Movement Lab Dance Group in Lafayette, and is happy to be teaching her third year of Repertoire at Jeté Dance Company. Lauren is from Lafayette, Louisiana, and has been studying dance for 19 years. Laure has studied every type of dance including ballet, tap, jazz, and contemporary throughout her years of training. She has also been heavily involved in dance team throughout her dance career, winning a national championship in high school. She is currently a member of the national ranked Louisiana State University Tiger Girls dance team for her third year. She has taught on staff with Universal Dance Association and has had the opportunity to work with many dancers across the state. Lauren is very excited to continue teaching dancers at Jete’ Dance Company! Helen Foster Brown was born and raised in Acworth, GA and just recently moved to the Baton Rouge area. She graduated with a Bachelors of Fine Arts in Dance from Valdosta State University in December 2013. While studying dance, Helen trained with Eric Nielsen, Catherine Schaeffer, Kimberly Holt, and Sarah Wildes Arnett. During college, she performed with two professional companies; SWADanceCollective in Atlanta, GA at the Modern Atlanta Dance Festival, and with Kim & Company in Tampa, FL at the New Grounds Festival hosted by Moving Current and at the Nashville Fringe Festival in Nashville, TN. Helen has a true passion for dance and is always looking for opportunities to continue her training. She is always ready for her next challenge within the dance world and cannot wait for her future to take off. Lacy teaches Primary, Intermediate, Advanced Intermediate and Advanced levels at Jeté Dance Company. She has studied dance for over twenty years focusing on ballet, jazz, contemporary, tap and hip hop. Lacy graduated from Louisiana State University in 2007, where she a four year member of the Nationally Ranked LSU Tiger Girl Dance Team and served as Captain her senior year. While attending LSU, Lacy was on the Universal Dance Association’s Staff for three years and taught High School and College Dance Teams across the Nation. She has also choreographed and judged for many local dance teams. Jerica is from the small town of Ponchatoula, Louisiana. She attends Southeastern Louisiana University where she majors in Kinesiology, with a concentration in Fitness and Human Performance. She is a former member of the nationally ranked Lionette Dance Team and is also a staff member for Universal Dance Association. While working for UDA, she has had the opportunity to work with many dance teams across the nation. She has also worked many high school cheer and dance state and national competitions. Jerica has studied dance for twenty years and is extremely excited to continue her work with Jete’ Dance Company. This year is Alyson’s first year teaching Primary and Intermediate level dance classes at Jete’ Dance Company. She danced with the studio’s Company Dance Team and performed with them nationally for multiple years. She has also demonstrated different levels of classes and taught at many summer camps for four years prior to teaching. Alyson is currently enrolled at Louisiana State University and is very excited for what this year of dancing will have in store. Erika teaches Primary and Beginner level dance classes at Jete’ Dance Company. She is also a Pre-K teacher as well as Cheer coach at an elementary school in Gonzales. This is Erika’s second year with Jete’ Dance Company and is excited to continue bringing her passion for teaching children to the studio.